Like with many viola accessories, there is a bewildering amount of rosin out there for you to consider. That is why we have created this list of the top 7 viola rosin brands, where we describe their materials, ideal use, and cost. What is Rosin and how does it work? Rosin is a resin collected from pine trees or other conifers that is distilled and hardened into cakes over a long process. Rosin is, as you may have guessed, an important component to producing sound from a bowed, stringed instrument, like those in the violin family. It’s all physics—literally! Applying rosin to a horsehair bow makes it stickier so that when you pull your bow across the strings there is enough friction to cause the strings to vibrate and produce sound. You may have noticed this phenomenon yourself if you have ever tried to play your viola with a bow that does not have enough rosin on its hair. Just as there are many varieties of pine tree, there are many different types of rosin. 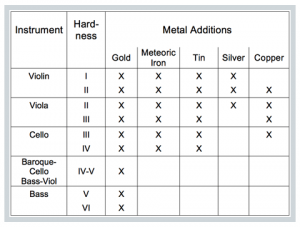 Generally, violinists and violists use a lighter, harder, and drier rosin, while on the other end of the spectrum, bassists prefer rosin that is softer. Cellists will use a medium-strength darker rosin that falls between these two extremes. 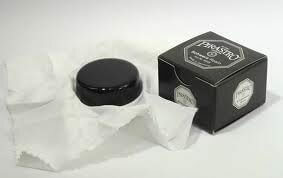 Bassists typically use the softest and darkest rosin. The core of your strings also affects the type of rosin that you should use. For steel and metal-cored strings it is best to use a harder and drier rosin. Conversely, for gut, gut wound and synthetic wound strings you will typically use a softer rosin. Sometimes metal flecks, such as gold, silver, and copper are added to the rosin, which can increase the friction between the bow and strings and affect the clarity of the tone. 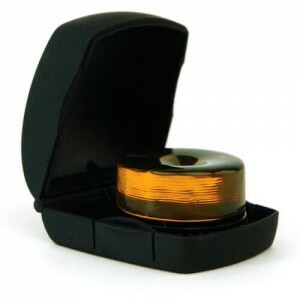 Many string manufacturing companies, such as Pirastro and D’Addario also make rosins that are well matched for their strings. 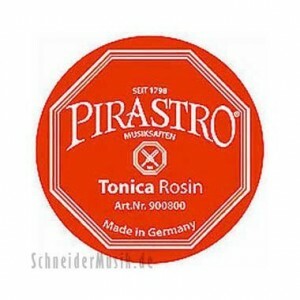 In particular, Pirastro names their rosin after the names of their violin, viola, and cello string lines. That way, if you play on Pirastro strings, you’ll always have the best match for your string set! There are experienced players out there who, in trying to find the perfect rosin, blend rosins together. This means that they might rosin their bow with one rosin one day and another the next, or a few swipes of each at the same time. Though these practices can become a bit eccentric, there is something to be said about how specific rosin might interact in different situations. Take, for example, the weather. If you live in a dry climate, consider choosing a softer rosin. That very same soft rosin, though, may be too sticky for you in a more humid climate! As far as accessories go, you are likely to get a more substantial sound difference by spending more on a set of quality strings than on a cake of rosin. That said, many people swear by certain types of brands for their instrument, so we have listed 7 of the major producers of rosin below so that you can find something that is suited for you. Moderately priced, the Evah Pirazzi Gold is a light and soft rosin that pairs well with the Pirastro string set of the same name. Softer than many rosins, this one doesn’t produce as much dust but should only be used sparingly. 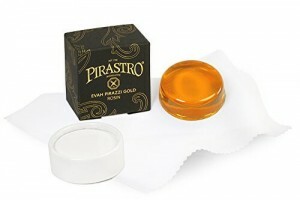 The Evah Pirazzi Gold rosin works for violin, viola, and cello. This olive-coloured rosin grips the strings better than the competition. The Oliv/Evah Pirazzi rosin works well with both string sets, meaning that it is compatible with both synthetic and gut strings. Works well for violin, viola, or cello. 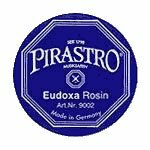 Slightly lower in price (and quality) is the orange-yellow Eudoxa rosin, which is more suited for gut strings on the violin or viola. 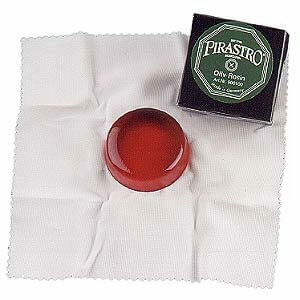 Suited for Pirastro’s Obligato or Violino strings, this rosin is darker in colour. Works well with synthetic strings that have a lower tension. Works with violin, viola, or cello. Another rosin that is lower in price: the medium-hardness Tonica. Suited for violin, viola, and cello. 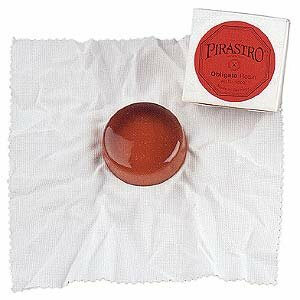 Similar to the Tonica rosin, Pirastro’s Gold rosin is a medium-harness rosin that is well suited for gut strings. Can be used with violin, viola, and cello. 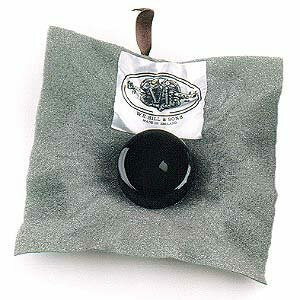 Schwarz is a hard, dark rosin that works best with steel strings on violin, viola, or cello. 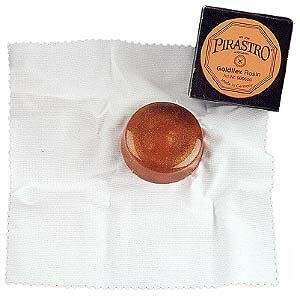 Pirastro’s Goldflex is one of their most popular lines of rosin. With flecks of gold right in the cake itself, Goldflex rosin allows for a fast and smooth grip of the strings. The tone is reasonably bright due to the harness of the rosin. Goldflex is suitable for violin, viola, or cello. 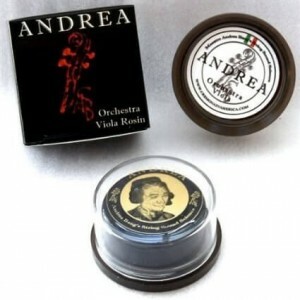 Andrea Rosin, formerly known as Tartini Rosin, is acknowledged around the world as a superior rosin. 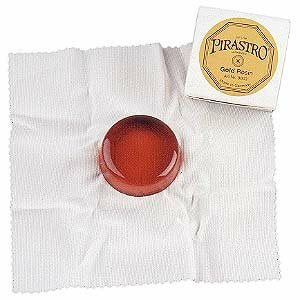 This Italian-made rosin comes in three styles: Solo, Orchestra, and A Piacere, each specifically made for the violin, viola, or cello. Though Andrea is a more expensive rosin MSRP per cake for violists, many professionals claim that it is worth it. Brings out powerful tones for soloistic playing, emphasis on clarity. Brings out a more balanced and blended tone for ensemble playing. This top of the line rosin has maximum clarity and control. Kaplan’s premium rosin is available in light or dark and pairs well with D’Addario strings, especially Helicores. This rosin does not produce a lot of dust, and affords a clear and crisp tone. Kaplan premium rosin comes with a package that is conveniently designed so that you can open it up and apply the rosin with one hand. You can use Kaplan light or dark rosin on violin, viola, and cello. Larica is a premium rosin manufacturer for the entire violin family of instruments. Larica uses metal in all of their rosins, with different metals bringing out different qualities of the instrument. Gold tends to bring out a warmer tone, and is the most popular type of metal rosin. Larica works well on all string types, especially synthetic and gut strings. Recently they have released rosin of a hardness specifically for the Baroque Cello and the Bass Viol, making early music practitioners rejoice. Larica II rosin is a harder gold rosin for viola, which brings out more clarity in the instrument. Conversely, it is a softer rosin for the violin, bringing out more round and warm tones. 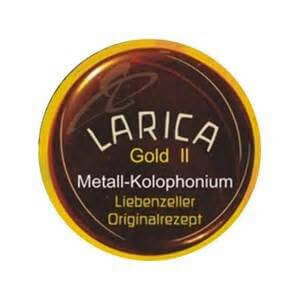 Larica III is a softer gold rosin for the viola, making it sound warm and full. It can also be a harder rosin for the cello, making it sound brilliant with a clear attack. Sometimes you’re not so worried about the aesthetic qualities that the rosin brings out, but whether or not it will make you sneeze while you’re playing! Clarity Hypoallergenic rosin finds a market with people who are sensitive to traditional rosins. Clarity makes a synthetic hydrocarbon resin that still works well to grip your strings and produce a great sound, without aggravating your other senses. 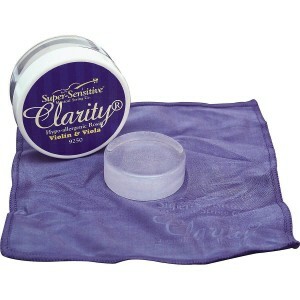 Clarity comes in two levels of harness, the harder of which is more suited for violin and viola. 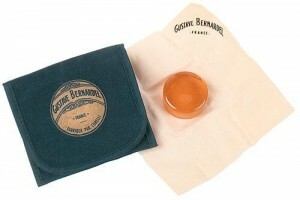 Based off of the formula created by French violin maker Gustave Bernardel at the beginning of the twentieth century, Bernardel rosin is still a popular and affordable choice for violinists, violists, and cellists. This secret original recipe is a medium light rosin that is appropriate for violin, viola, and cello. It creates a clear attack with easy articulation. Great for beginner violists. W. E. Hill and Sons, or Hill for short, rounds out our top 7 list as one of the most popular and reliable rosin brands available. Hill is the industry standard for rosin, and it is hard to beat their quality and affordability. If your viola came with a generic, dry, cheap cake of rosin, we advise switching it to Hill right away, you won’t regret it! 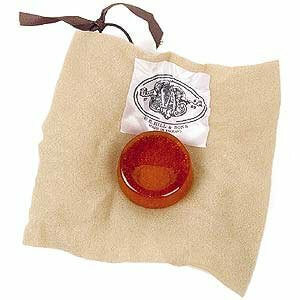 Hill rosin comes in light or dark, with the lighter being harder and better suited for the violin and viola. But, if you are interested in the properties of both, it is not unheard of to mix rosins together. For instance, you might consider mixing if you want a more mellow tone with a brighter attack. There you have it—some of the top 7 rosin brands for viola. Keep in mind that other major manufacturers of rosin include Melos, Hindersine, Kolstein, Larsen, and Szigeti—far too many to explore in great depth here.